I have participated in the “pink race” many times. I get it. 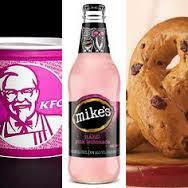 Its a really fun and festive way to show support for breast cancer awareness. It’s also a very meaningful and emotional way for those that have fought the fight to have a special event to memorialize their journey. We run it to show support for our loved ones lost, our loved ones fighting, and some to show they are themselves a survivor. Somewhere, something went wrong with the slathering of pink. I have no idea what happened. Suddenly we are using it to promote crap. Absolute crap. I have no problem saying that. Toxins come in many forms. Physical toxins. Emotional toxins. (It’s not just woo woo. It’s real.) Many of those toxins are being promoted to support “the cure”. Why are we using and promoting products that contribute to the toxicity that causes cancer when our efforts could be used better elsewhere? Because companies see an opportunity. So please, please don’t take a product that has a pink ribbon and eat it, drink it, or use it. You can do what you would like with your money, but if you would like to support the real cure for cancer then choose companies that refuse to fill their products with toxic ingredients. I am dedicated to provide recommendations for clean and healthy products to my audience and clients. I’ve been through the ringer before thinking I was consuming something awesome for me which was actually promoting toxicity or a dangerous estrogen loading metabolism. Hello 2005 and soy protein powder overload!! That was a terrible choice, but now I know better and I’m determined to create this space for you all to come to to get the bottom line answered: Is this product good for me? So I’m pretty critical of anything that goes in my body, my clients bodies, and especially my children’s bodies. 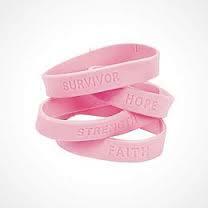 Generally, if I see a product in the grocery store immersed in pink ribbons i don’t touch it. There are always exceptions, so if you have questions on a product please reply in the comments section of the blog below. I would love to help you. Stop drinking out of plastic. All of it. I don’t care if it’s BPA free. BPA is just one of many offenders in plastics. Sweat! Simply sweating from moving your body in a way that is enjoyable is a great way to move toxins out safely. Want to take it to the next level with sweating and toxin removal? Find a “Far infrared Sauna” in your city. I’ll have a separate post on this later. Drink water. Lots of it. Get yourself a 30 ounce or larger stainless steel or glass bottle to have with you at all times. Everyone’s water intake needs differ so start first by tracking what you currently drink. I love the app “ihydrate”. It’s free and very easy to use. Just plug in your water intake every time you have a gulp and you’ll have a good idea where you are now. My general recommendation is about a gallon. Your body may need more or less. Love your liver. Don’t beat it up with repeated nights or weekends of alcohol. Of course everything in moderation, but what really is alcohol moderation? IMO, its maybe 1-2 drinks a week. A WEEK. For my clients who are healing their bodies I recommend none until they are in a place where their body can handle it on a special occasion. Not a popular opinion, I know. But I’m not about to bend my opinions just because America likes to drink excessively. Repair your liver. These products/methods may or may not be right for where you are now so please consult with a practitioner first. I love Bioray (enter code: LARMONDRA at check out for 10% off because I love you), particularly “liver life” and “liver lover”. Other herbs and blends that fit the bill: sunflower lecithin, pygeum, palmetto, nettle root, DIM + I3C, and turkey tail mushroom. Stress reduction. No, this doesn’t mean sitting down in front of the TV with a ginormous cocktail. That’s called coping and avoiding. Real stress reduction has wonderful benefits. I’ll discuss the” how” in a later post. Find one that you can practice daily: Prayer, deep nervous system breathing, massage, halo therapy, meditation..lots of options! Eradicate gut pathogens. This sounds extremely foreign and is new to some of you. I’ll just keep it simple for now by listing a few gut infections that can impact the health of the liver or increase your toxin load: Candida, H. Pylori and blastocystis hominis are the heavy hitters to our entire system. This simple list isn’t exhaustive, but in my opinion they take the cake! There’s nothing wrong with breast cancer awareness. But I personally will not support organizations that promote it and don’t use the money raised to help find the REAL cure. The real cure is your body’s innate ability to heal. Start on the list above and let it. If you have a loved one fighting, don’t bring them a bucket of pink chicken – bring them a HUGE delicious organic salad loaded with greens. So how about you? Is there something you have taken, eaten, done in the past that you THOUGHT was promoting health or decreasing your risk of cancer but was actually doing the opposite? Please share below! Maybe you’ll open someones eyes in the mean time too! Next Post:Why I started my blog and why YOU should too!